In the last year I have been trying to introduce as many grains to my family as possible. I have been lucky in that the organic section at my local grocery store has a number of variety of grains and beans to chose from, so at least once every couple of weeks I have been purchasing something new. Some grains have gone over better than others. Oatmeal is always a big hit in my house and my two boys will eat multiple servings. However, other grains such as quinoa, have taken multiple offerings, before my household took to its taste. I was intrigued when the September issue of Martha Stewart Living had a recipe for Barley, Mushroom, and Dill Salad, which looked like a great way to introduce more barley into my family's diet. This recipe has 11 ingredients, including salt and pepper. The total prep time is 1 hour and 15 minutes, with 15 minutes being active. I had no problems finding any of the ingredients at my local grocery store, the pearl barley was even available generic in the bean aisle. The longest part of the recipe is the time for the barley to cook, the remainder of the recipe goes together quickly. I followed the recipe as stated, with no modifications. I wasn't sure how this recipe would go over with my family, so I served it with a chicken dish that I figured they would eat. I was very surprised when my 5-year-old went straight for the barley salad and ignored the chicken completely. He absolutely loved the salad and ate a second serving as a bed time snack. I was pleased by how well the leftovers held up, my husband was able to take them to work the next day. My husband did comment that after sitting in the fridge the salad could use a bit more salt. This recipe is a great way to introduce more grains and was a big hit with my children. This recipe is currently not available on-line, but can be found in the September issue of Martha Stewart Living magazine. I just made my first barley salad and it was unexpected how good it was. i had lots of preconceived notions. Now I am saving barley recipes! Martha's recipes always sound and look so good but my little one is so picky that I don't get to experiment much. Have a great week! @Simply One of mine is pretty picky also so I completely understand :) You have a great week also! 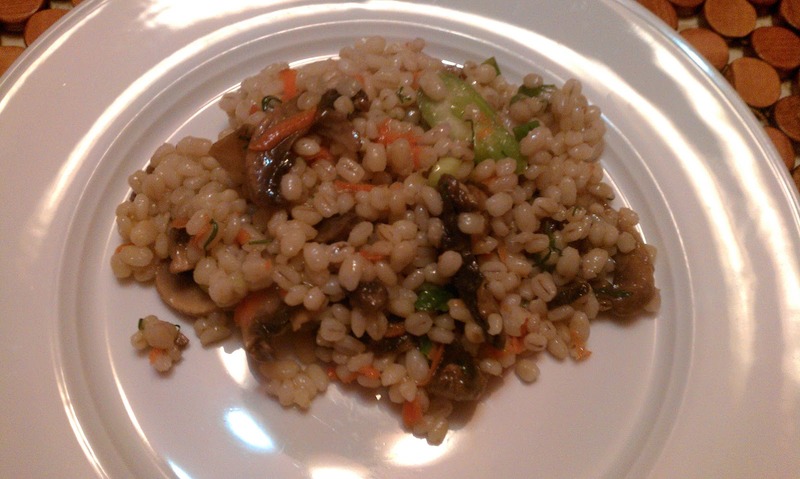 I made it using quick barley--cooks in 10 minutes. My family loves this--I am making it every few weeks.